At Broad Walk Dental both new and existing patients can access allocated emergency appointments on a private basis. You will usually be offered a private emergency appointment on the same day. If you call later in the day, it may be the following day. Each private emergency appointment is allocated 30 minutes of the dentist’s time. 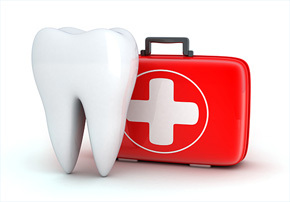 The dentist will do what they can for you in the time available to try and resolve pain. For example, this may include placing temporary fillings or providing simple extractions. If longer is required, another private appointment will be offered at an additional cost. The practice allocates time for NHS emergency appointments for existing NHS patients daily. This time is limited and is offered on a first come first served basis. These appointments can only be booked on the day. Please call the practice on 01298 214601 to book an emergency appointment. Please note – Contacting us via email regarding emergency appointments may delay the time in which it takes us to offer you an appointment so we recommend calling to speak to a member of our reception staff. For out-of-hour emergencies that cannot wait until the practice is next open please call 01246 514019. This service is available on Bank Holidays and weekends from 10:30am - 1:00pm and week days from 7:00pm - 8:30pm. Alternatively, you can call 111.